The Buddhist – Marxism Alliance was founded by the Oxford Collective on the 20th of July 2013 in Oxford, United Kingdom . Its primary mission is to emphasise the similarity and compatibility of the Buddhist teachings with those of Classical Marxism (and Marxist-Leninism-Maoism), and to assert that both systems of thought are motivated by compassion for the suffering of humanity, and emphasises a radical method of escape from that suffering. Buddhism and Marxism share a common philosophical grounding that is dynamic, ingenious, and transformative. The transformation of the individual develops society, and the transformation of society develops the individual. Buddhism and Marxism arrive at exactly the same conclusions, but through diverse and yet complimentary pathways. The ancient Indian spiritual seeker Sakyamuni Buddha (563 – 483BCE), and the modern German academic Karl Marx (1818–1883), were not only outstanding intellectuals of their day, but the powerful influence of their respective systems of thought has continued to influence world thinking into the post-modern period of human development. Each thinker perceived humanity as enslaved and oppressed by existential circumstance, and both formulated a very clever ‘mind-led’ system designed to help humanity escape from this debilitating limitation. The apparent structure of the physical world, as it appears to the mind and other senses, is a product of illusion, and if humanity is to be truly free of this state, a radical (i.e. ‘revolutionary’) act of transcendence must be initiated, experienced, and pursued to its ultimate conclusion. The BMA (UK) exists to provide free education about Buddhist and Marxist thought, and encourages and supports any individual or group who is endeavouring to better their understanding through the development of the mind. 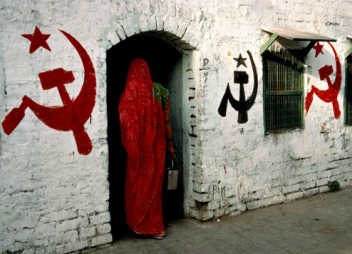 The BMA (UK) fully supports all spiritual and leftwing movements as they strive for the establishment of Socialism and Communism in the world - but rejects Trotskyism as a bourgeois diversion. The BMA (UK) is primarily an educational project that relies upon unbiased approaches to teaching and learning. The BMA (UK) draws inspiration from China, Vietnam and Laos (as well as other places and cultures), while supporting Marxist-Leninism-Maoism. Within this context the BMA (UK) encourages free-thinking amongst the people. Above and beyond all education, the BMA (UK) emphasises the application of wisdom, loving kindness and compassion throughout society – attributes found within both Marxist and Buddhist thinking. Buddhism is a developmental, philosphical system that rejects the theology of established religion as a manifestation of 'delusion', or 'false consciousness'. Particularly within Asia, Buddhism has merged with Marxist-Leninist-Maoist thinking. 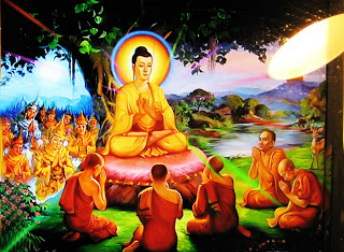 This development has led to the Buddhist Sangha becoming a key agency of education for the masses, using the Buddha's teachings regarding meditation and pure conduct, and combining it with the dialectical and historical materialism developed through the thinking of Karl Marx, Freidrich Engels and Vladimir Lenin. This includes the thinking of both Joseph Stalin (who, as the Soviet Leader, defeated Nazi German fascism during WWII), and Mao Zedong (whose example still serves to inspire many people around the world in their struggle to throw-off the yoke of European imperialism, colonialism and racism). As a result of these changes in Asia, the Buddhist Sangha has led the way in making clear the fundamental compatibility of the Dharma with Marxist thought, and in so doing has made Communist education freely available to ordinary (and generally impoverished) people. Furthermore, through the Buddhist Sangha embracing Marxist-Leninism, Buddhism has become an important element in maintaining the stability of the Communist State. The BMA (UK) is of the opinion that many facets of Buddhism in the West have been corrupted and hijacked by the bourgeoisie, and used in its habit of continuously justifying predatory capitalism. This means that the already privileged middle classes has adopted a veneer of misconstrued Buddhist thought (and practice) and distorted it into a Judeo-Christian image suitable to its needs. The BMA (UK) firmly rejects this 'pseudo-Buddhism' and advises all the genuine seekers interested in the study of Buddhism, to find authentic teachers and reliable sources of information. Authentic Buddhism does exist in the West, but it is not the media-friendly distortion peddled by the pro-Tibetan fraternity, groups adhering to 'militarised' Japanese Zen, or so-called 'masters' that charge large amounts of money whilst teaching others how to 'breathe'. ​Do not bring emotional or intellectual immaturity into this thought community. Do not simply accept the capitalist view of reality, and a sub-ordinated position within that reality. The bourgeois system claims to extol ‘freedom of thought’ – so exercise it. This is a free space. This is a Socialist space. In principle, this is a Communist space (whatever that might be). By all means, have your own thoughts and live your own life – but do not ‘infect’ this sacred psycho-physical space with bourgeois delusion, fetishism, and excess. Take steps to ‘un-do’ (through education) the conditioning you have received from childhood, but do not wait for others to teach you, or to free you – educate and free yourself. Non-verted reality is diverse, creative and full of potential. There is no forced conformity – only and endless bubbling-up of compassionate and profound ideas, opinions, feelings and understandings. Matter and mind are not viewed as mutually exclusive, and one is not viewed as being superior over the other. If you believe or disbelieve in religion – look beyond that belief and see where it takes you. Understand cause and effect, but do not remain enslaved by cause and effect. Investigate everything, and logically deconstruct what you see. This is not an easy path, but it is a truthful path. This is a brief insight into the guiding principles of this thought community.